Lakeview Cottage Kids: New Pattern Offered in My Etsy Shop! I have recently begun writing my patterns and a couple of weeks ago, released my first one. I am selling it in my Etsy Shop! Here is a picture of the finished hat. I have written the pattern for a Toddler or Child. 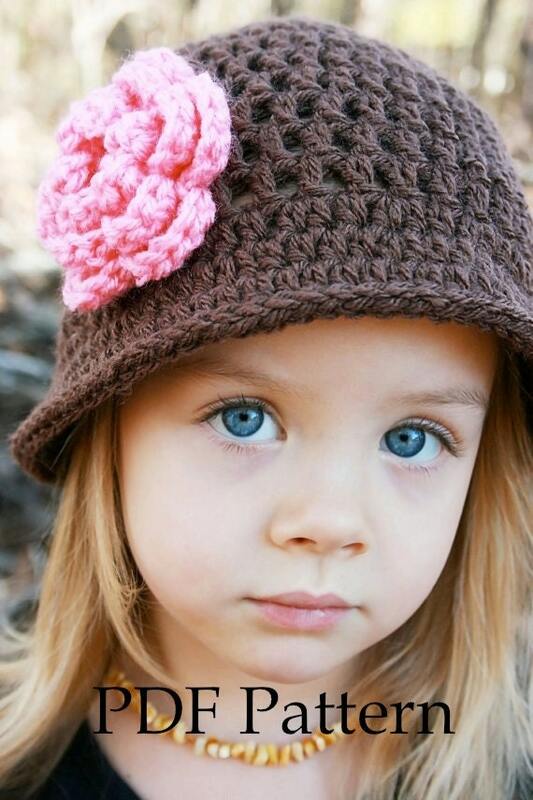 The pattern includes directions for the hat and the flower! It really is so cute and has been a wonderful seller in the shop! Click here to get to that listing.